During emergencies residents will hear a 3 to 5 minute steady signal of the sirens, horns or other devices. When you hear the siren and are unsure what they are sounding for, go indoors and tune your radio to one of the Emergency Alert System (EAS) Stations, and listen for essential emergency information (see below). DO NOT call local fire or police agencies to ask why the sirens are sounding. If it is an emergency, they are busy getting equipment and manpower to the emergency scene. 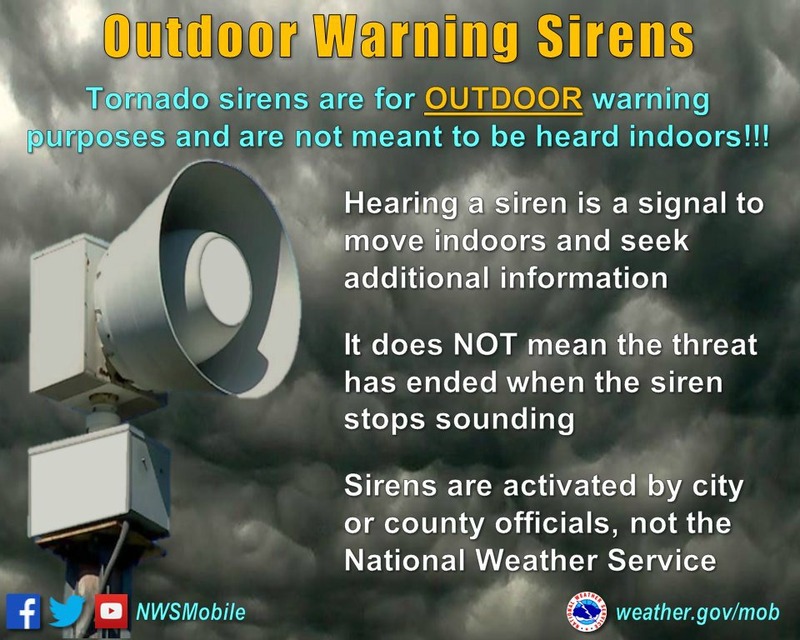 REMEMBER, OUTDOOR WARNING SIRENS ARE JUST THAT, OUTDOOR WARNING. The sirens are meant to be heard outside to signal you to go indoors and tune your radio or television station to the local Emergency Alert System (EAS) Station. As homes continue to become more energy efficient and sound proofing enhanced, outdoor warning sirens that once could be heard decades ago inside of a home can no longer be heard. That is why other means of warning are in place. In Grant County, an ALL CLEAR signal is NOT sent. That is why it is important to monitor your local radio station during times of emergency for further information. Too much confusion trying to differentiate between the signals can result from issuing an "All Clear". No activation of sirens occur for weather watches or "All Clear". In Grant County, when you hear sirens sound in your community, tune to your local Emergency Alert System (EAS) station for further information. Grant County Emergency Management does not own or maintain any of the outdoor warning sirens in Grant County. They are all owned and maintained by the City or Town in which they are located. The following procedures are established for activating the Emergency Weather Siren System through Marion Police Dept. and Grant County Dispatch Centers. a. The National Weather Service (NWS) issues a severe thunderstorm or tornado warning for any portion of Grant County. b. A trained spotter substantiated by local law enforcement, reports a tornado or funnel cloud with or without a NWS warning. c.	A local jurisdiction deems it necessary due to severe weather warnings from an adjacent county or sub-jurisdiction. 2. 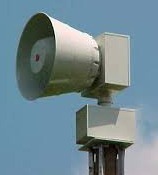 The High-Low wail will be used on all sirens to alert citizens to impending weather emergencies. 3. The sirens will be tested at least once a month as scheduled by the jurisdiction controlling the siren. The High-Low wail will be sounded for thirty seconds (30) and then cancelled by the proper authority. In the event of unstable weather conditions, the test will be cancelled. a. In the event of any preventative maintenance or additional testing on a siren linked to Grant County Dispatch, at least 48-hour notice will be given to the Dispatch Center. Grant County Dispatch Center will in turn notify persons responsible for each siren throughout the county, allowing them to turn off their power while one siren is tested. The proper news media will be notified to allow citizens to be informed of the testing.